© ESS- Elite ThemeForest Author. In 2018, the elevator industry reached new heights. MSN reported that it was one of the fastest growing industries in 2018 alongside other building equipment specialists. This is in line with the trend of previous years. Forbes had reported similar findings in 2017 that suggested elevator installation and repair were a key part of the construction industry, one of the fastest-growing industries in the nation. This surge for the elevator industry can be attributed at least in part to the increase in residential high-rise buildings popping up in major cities across the country. With limited space available, and with the potential for a more affordable housing solution, it’s no surprise that developers continue to expand upwards. New residential buildings also require more commercial and institutional spaces nearby, according to Markets and Markets, to support the new local population. To top that off, riders are demanding a smoother experience. Breakdowns or out of service elevators (and escalators) continue to make headlines in an effort to hold building owners accountable for speedy repairs. Repairs and restorations will “majorly fuel the North America elevator market growth”, according to GlobeNewswire. They attribute these efforts to the strict elevator safety codes in the US. Some of the major elevator companies, like Otis, Schindler, and ThyssenKrupp, are also working hard on new technology (from smart elevators to design improvements to technological enhancements) that will make for a more pleasant ride. All these factors contribute to the boom in the elevator market. Markets and Markets reported that the “elevators and escalators market [will be] worth $125.22 Billion USD by 2021”. This number is worldwide (and up from $88.78 Billion USD in 2015) with North America coming in as the third largest market globally. With so much growth in the industry, it’s obvious why elevator technician is one of the most in-demand jobs right now. By 2026, elevator technicians will grow 12%, according to the US Bureau of Labor Statistics, which is “faster than the average for all occupations”. Like Markets and Markets, they claim the residential and commercial building industry will boost the need for elevator repairs and restorations. Canada, too, saw a massive amount of growth. Canada’s news magazine, Maclean’s, stated that elevator mechanic jumped to no. 10 (up from no. 74) in a list of Canada’s best jobs. The job grew 94% in just five years time because of demand and wage increases. This amounted to one of the fastest-growths in the Canadian market. The National Elevator Industry, Inc. estimates that there are 18 billion rides per year on American elevators. One of the best ways to manage in this growing industry is to have the right tools for your elevator company. A quality ERP system can handle both your field and home office operations. It gives you a single solution to control your daily functions and automate your processes, so you can stay organized. 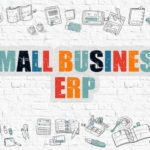 As you grow your clients and your technicians, an ERP could be an invaluable resource to get ahead of the competition. Mobile Office Manager (MOM) is an all-in-one ERP solution that offers all the essential features to manage operations in elevator companies. Schedule and dispatch technicians quickly to a job site after a call. Set up new projects including budgets, inventory, and estimates. Keep track of payments, analyze reports, and schedule billing cycles. All these features and more, which are essential to rise above in a growing elevator industry, are available in MOM. Interested in taking your business to a new level? Contact us to learn more and start your free trial of MOM today. Expert Service Solutions is a software technology company that puts creating quality products for their customers first. ESS’s suite of business management software will help your business facilitate operational efficiency, improve organizational communication and overall customer service. Stay up to date with ESS news and events by signing up to our monthly newsletter! © ExpertServiceSolutions, Inc. 2019. All Rights Reserved.